You can make this soft, cuddly playmate and bedtime companion! 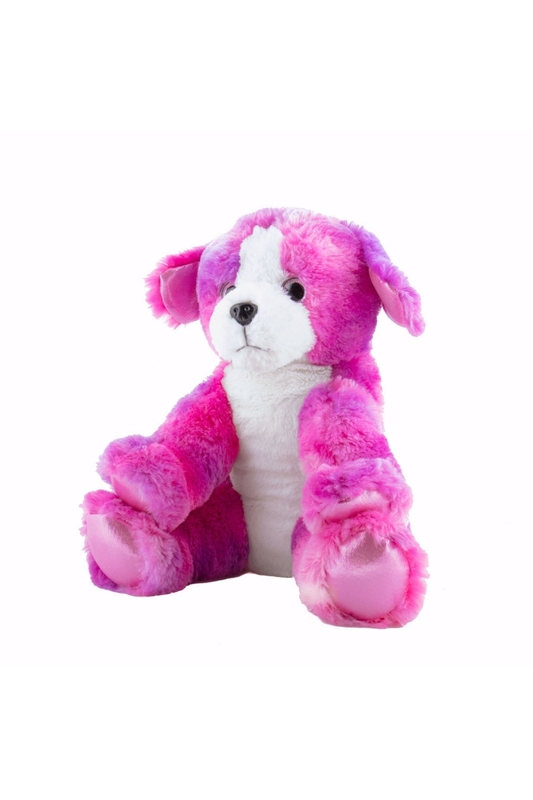 This approximately 16” puppy will come to you unstuffed and can fit most clothes from Build a Bear, Teddy Mountain, The Bear Factory and more. This is a wonderful activity for a rainy day, Birthday Party or holiday! Your kit will include a packet of cuddly, soft poly-fill, a wishing charm, a birth certificate, a colorful carry bag and of course instructions. All Bear Factory animals are sealed with an interior one way zipper and exterior Velcro closure-NO SEWING required! Products are tested each year to make sure they comply with any and all toy industry standards including ASTM-F963 and EN-71 certification. Surface washable. Manufacturer recommended ages 3 and over.